VHP man tried to save Rakbar, claims that he died due to alleged beating by the Police. 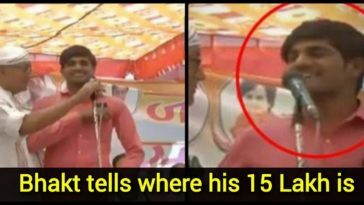 Mainstream Indian media displaying religious ‘bias’, in reporting crime? Recently, a 22 years old ‘Dalit’ youth was ‘lynched’ by a mob of muslim men in Rajasthan’s Barmer, allegedly due to his affair with a ‘Muslim’ girl. Surinder Kumar, DSP (Deputy Superintendent of Police) Barmer, told ANI (Asian News International) that, “The man succumbed to severe injuries. Two people have been arrested so far, further investigation is underway.” A simple Google search shows that no major news channel reported this. On the same day, a 28 years old man named Rakbar Khan was beaten by a group of villagers in Rajasthan’s Alwar, allegedly for stealing cows to slaughter them. He was declared brought dead, by the hospital. Assistant sub-inspector Mohan Singh has been suspended, while 2 other constables have been punished, as they allegedly ‘wasted’ time in taking him to the hospital. However, there are many versions of the incident coming to light. 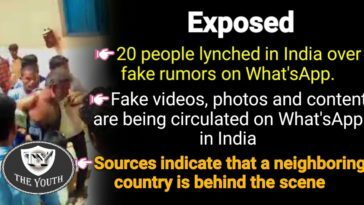 The mainstream Indian media has gone ‘berserk’ in reporting the case, as all TV channels, news websites and social media accounts are filled with information about the incident, and are targeting the Modi government over its occurence. 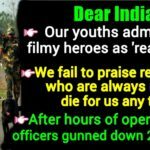 However, few of them have reported about Vishwa Hindu Parishad (VHP) leader Naval Kishore, who has released pictures of Rakbar, claiming that he had rescued him from the villagers, and he was fine at that time. The Police has denied his claim, saying that though Rakbar died in Police custody, he was not beaten. “We have no information yet about the victim being thrashed in custody, but yes, prima facie we have found that there was indeed an error in judgement in deciding what was important at that point,” said NRK Reddy, Special Director General of Police, when it came to light that the Police took 3 hours to reach a hospital which was just 20 minutes away. While many such facts about the incident seem to have been deliberately ‘covered’ by the media, it has literally turned a blind eye towards the Barmer incident. 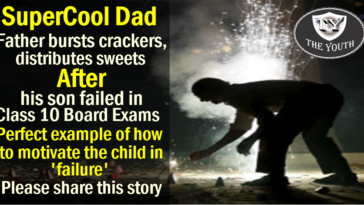 Also the political parties and leaders who claim to be ‘well wishers of dalits’, are silent. Not just lynchings, the same day there were 3 incidents of ‘gangrapes’ as well, which didn’t get any space in news channels. In Uttar Pradesh’s Kasganj, a Hindu girl was abducted by Sanu Khan and his family. In another incident from UP’s Muzaffarnagar, a minor Hindu girl was being raped since last few months by Shariq Multani, who had made a video of the act, and had used it to blackmail her. Meanwhile, in Madhya Pradesh’s Sagar, a 16 years old ‘Dalit’ girl committed suicide, after being gangraped by Mubarak Ali, Kareem and Shahid. However, these incidents have not been widely reported by the mainstream Indian media, which raises many questions about their ‘intent’. Previous article Modi’s action on Corruption: Indian Black money in Swiss Bank ‘Reduced’ by 80%! 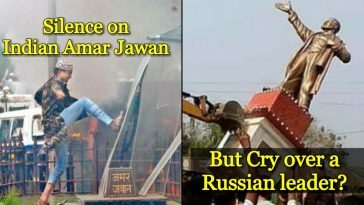 Media gets angry at Lenin’s statue, but keeps quiet when our Amar Jawan is tortured ? 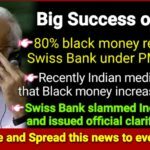 Modi’s action on Corruption: Indian Black money in Swiss Bank ‘Reduced’ by 80%!